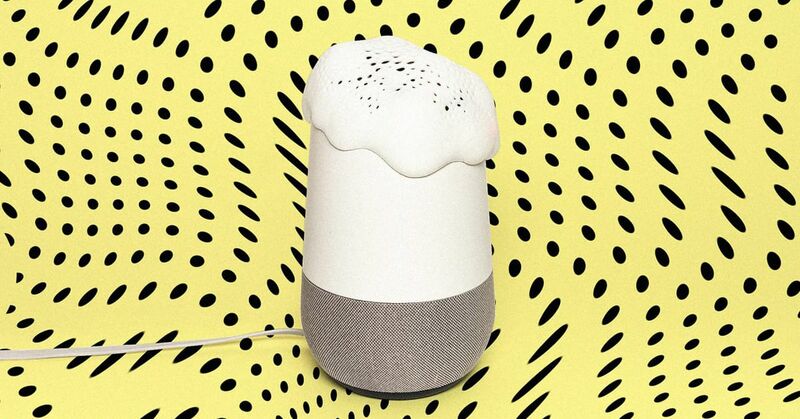 An open-source hardware project promises to keep Amazon and Google's smart assistants from listening to your private conversations by constantly creating white noise, as was first spotted by Fast Company . The gadget is called Alias, is an always listening speaker, but it connects only to the Internet during the initial installation process. In this way, alias "off the grid" while using it and prevents your conversations from leaving the unit, Bjørn Karmann, one of the developers told The Verge . When Alias ​​hears its own wake-up call, it stops broadcasting white noise and arousing Alexa or Google Assistant so you can use them normally. Alias ​​is designed to fit on top of an Amazon Echo or Google Home where it resembles a lot of molten light wax. It consists of a 3D printed top layer, a mic array, a Raspberry Pi and two speakers. Instead of calling the Alexa speaker or Google, you can customize it with a unique weapon word such as Steve or The Rock. When it belongs to the word, the alias will then quietly set up the real smart assistant by playing "Alexa" or "OK ​​Google" over its internal speaker. You can already keep Alexa or Google Assistant on silent while holding a private conversation, but Alias ​​is designed to give you the benefits of muting the smart assistants while still being able to reach them hands-free , when you want. That said, Alias ​​can't stop Amazon and Google from saving the conversations that you actually have with their assistants who will be sent to the cloud. And since this is a Raspberry Pi project, you will not be able to buy the product and it will need some degree of DIY tinkering to get this setup. The developers note on GitHub that the project is experimental and still in development, so even the code is not yet a finished product.